German website Motorrad has published a photograph of what appears to be a BMW bagger powered by a large Boxer engine has been spotted undergoing tests on public roads. 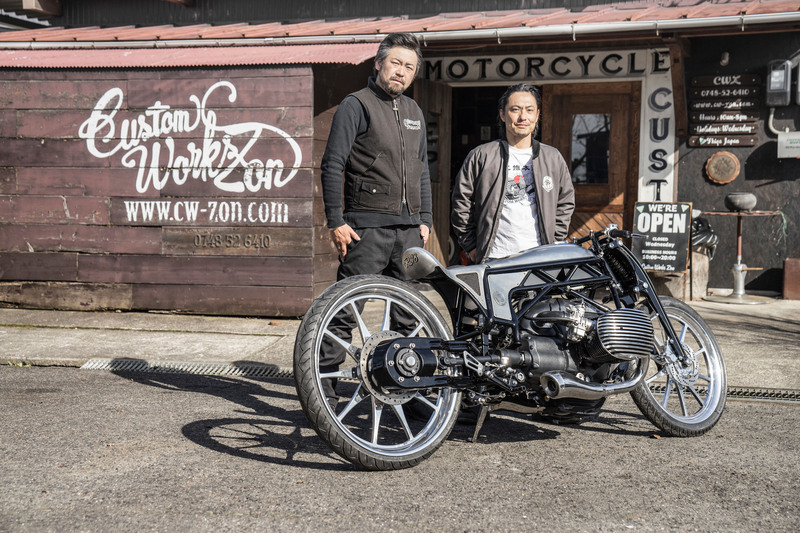 The engine is believed to be based on the prototype “R18” engine that BMW showcased in December in the one-off “Departed” concept by Japanese builder Custom Works Zon (pictured above). The single photo (visit Motorrad to view it) is quite dark and appears to have been shot from a moving car, but it very clearly shows Boxer-engined bagger with a large fairing and a bunch of testing equipment. While there’s no obvious badging on this test bike, the engine configuration and the location (Germany) all suggest we’re looking at BMW’s new R18 cruiser platform. The big clue for us is that light gray shape behind the rider’s foot and below Motorrad’s watermark. The shape matches the area on the prototype engine where the drive shaft exits the transmission. When BMW first announced the prototype engine, the manufacturer said it was completely new, used air and oil cooling and had pushrods running along the top of the cylinders. No displacement was explicitly mentioned, but the “R18” on the back of the seat hints at around 1800cc. We can’t see the pushrods in the photos but Motorrad does confirm the cylinders are air-cooled and quite large. Motorrad also suggests BMW may be tinkering with ways to give the flat-Twin a V-Twin sound. 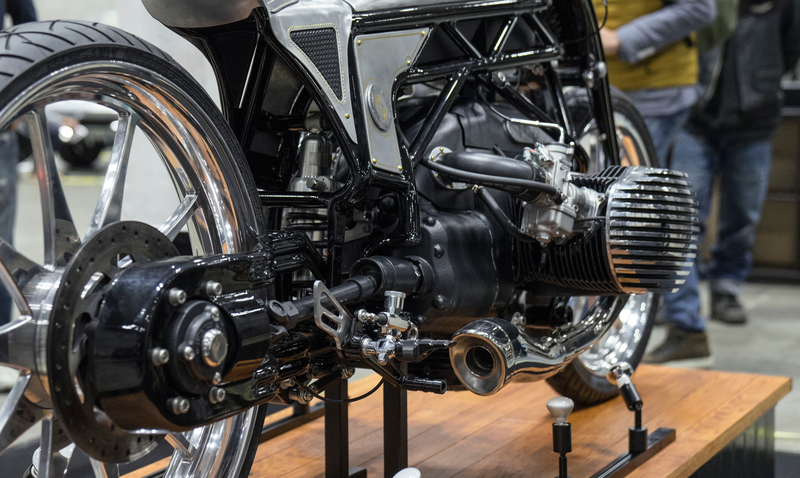 When the prototype was first shown, BMW said it would provide more information about the engine and it’s possible intended uses at a later date. Motorrad’s photo suggests it may first appear in a bagger, and possibly as soon as later this year. 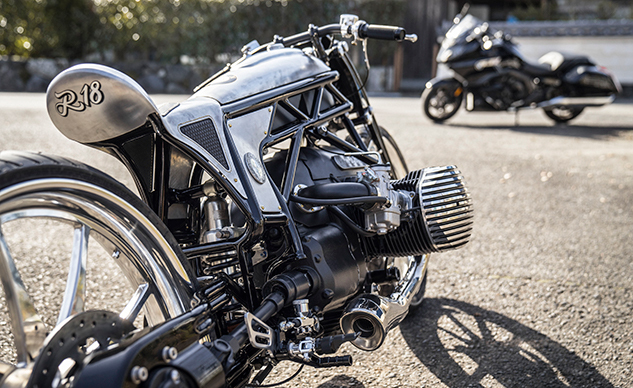 Go back to the photo of the concept at the top of the page and note the K1600B bagger conspicuously placed in the top corner. Coincidence? We think not.